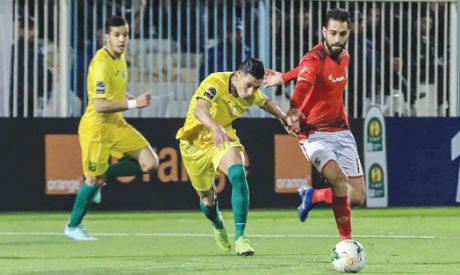 Ahly will be looking to secure all three points when they take on Algerian club JS Saoura in Alexandria on Saturday to ensure their progress to the African Champions League quarters and make up for recent stumbles. Should they draw, the Cairo giants will only go through if the other encounter in Group D between Tanzanian Simba SC and Congolese Vita Club ends in a draw. If they lose to the Algerian side, they will crash out of Africa’s elite club competition regardless of the outcome of the tie between Simba and Vita. The eight-time African champions are left with their back against the wall after the last 1-0 defeat to Vita Club away, meaning they don’t have any other option than trying to kill Saturday’s game from its early minutes if they don’t want to leave their qualification hopes hanging by a thread. Ahly are closely monitoring the situation of first-choice keeper Mohamed El-Shennawi, hoping he will shake off the ankle injury he sustained in the tie at Vita Club which meant he was forced off after 24 minutes. “The player has improved over the last few days. We still have 24 hours until the game and we have to wait until the last moment to decide,” the team’s Uruguayan tactician Martin Lasarte told a press conference. “If El-Shennawi can’t make it, we have big confidence in Aly Lotfi who made a huge effort recently and did well against Vita,” Lasarte added. Ahly are currently second in the standings on seven points, one adrift of group-toppers Saoura, while Vita are third on seven points and Simba are at the bottom on six points.